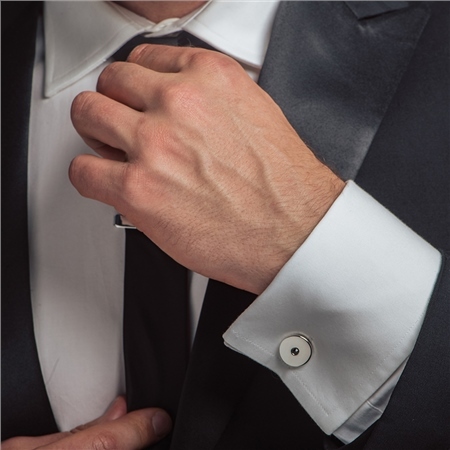 Make a statement when wearing these contemporary cufflinks, timeless in design they are the perfect addition to create a sophisticated look. The ideal gift for all occasions. Silver plated circular cufflinks with a protective anti tarnish layer including black chaton stone settings, presented in a Newbridge Silverware gift box.